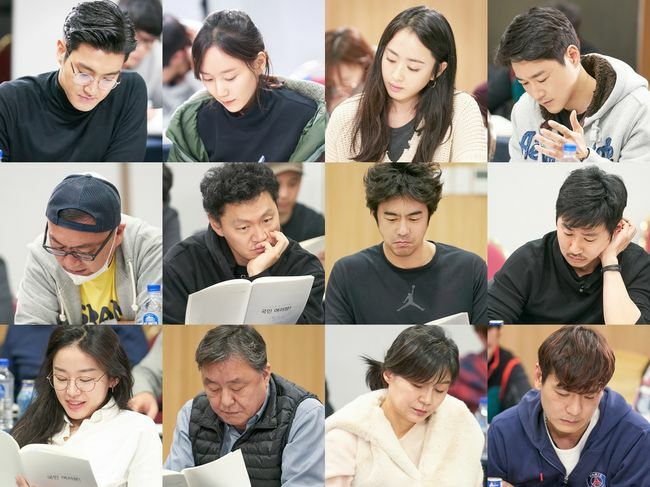 First script reading for KBS2 drama series “My Fellow Citizens” (English title), starring Choi Si-Won (‘Super Junior’) & Lee Yoo-Young, took place December, 2018 at Gangchon, Gyeonggi Province, South Korea. Attending the first script reading included main members Choi Si-Won, Lee Yoo-Young, Kim Min-Jung, Tae In-Ho, Kim Eui-Sung, Yang Dong-Geun and Jun Suk-Ho. The drama series follows a conman played by Choi Si-Won as he gets blackmailed into running for a national assembly seat. “My Fellow Citizens” first airs March 25, 2019 in South Korea (takes over KBS2’s Monday and Tueday 10PM time slot after “My Lawyer, Mr. Jo 2: Crime and Punishment “).